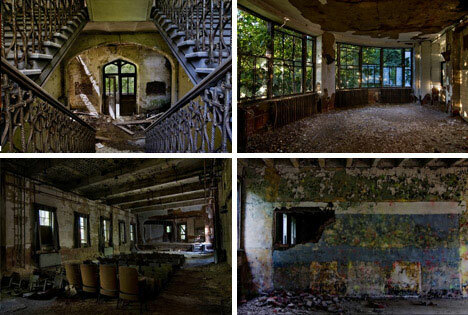 What is it about the cracking paint, the crumbling brick and the ominous silent of abandoned buildings that attracts urban explorers from around the world to crawl carefully through and silently document their rooms and spaces? Deserted buildings seem to grow more complex and interesting as the natural processes of decay take over and as layered debris tells more and more stories as the years go by. 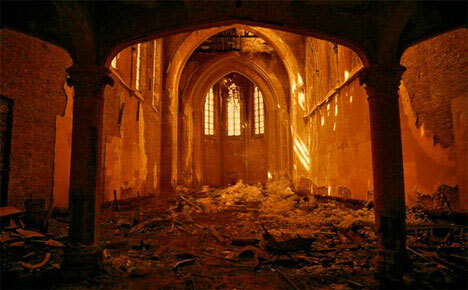 Different kinds of buildings, like abandoned places and cities, are deserted for different reasons. Sometimes disaster strikes and there is no funding or motivation to rebuild a particular structure, but in other cases a building’s use expires as in the case of mental institutions and drive-in theaters which are largely things of the past. Some buildings go through second (and third and fourth) lives and are adaptively reused in creative ways while other structures are simply deserted.